English text follows after Japanese. Japanese R&B genius, Ryuichiro Yamaki produces, composes, arranges and remixes many talented Japanese artists such as Amuro Namie, Koda Kumi, TVXQ, Nishino Kana, Fumiya Fujii, KAT-TUN, Coming Century, SMAP, COLOR (current DEEP), EXILE, LISA(ex:m-flo), BRIGHT, SUITE CHIC, Miura Daichi, BoA, and DOUBLE. 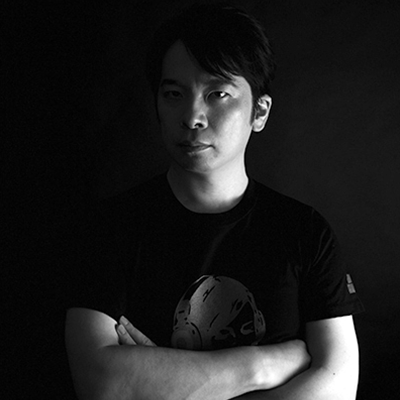 Ryuichiro is known to create exciting club / dance tunes in R&B, Hip Hop, Funk and Electro while expanding his talent into many different genre of music. His style with edgy sound and groove is unique in Japan, while he still maintains Japanese work ethic in production which is very well-received outside as well as inside of Japan in both major and indie music scenes. Internationally, Ryuichiro actively works in EU region. Examples of his work is seen as official demos to promote soft synthesizer by French music software maker "UVI" and remix work for bands such as Mannequin Mars from Denmark and artists like Joey Groon. Year 2009 marked 10th year in music business for Ryuichiro and it was celebrated with his solo project titled "R.Yamaki Produce Project" Among new, indie and major artists who he collaborated in the project, Ryuichiro himself took on the mic to sing in the project as well. On December 26th of the same year, all 11 artists who participated in the project got together for one night of show titled "R.Yamaki Produce Project Premium Live 2009@Shibuya club asia." On December 11th of the following year, Ryuichiro launched his own indie recording label, "W4M Recordings" to release music with artists that he hand-picked to produce. Although "R.Yamaki Produce Project" started as his own solo project, it now has a slightly different focus to continue providing fresh and high quality music by producing a new artist, Sometimes producing music videos while releasing music digitally, Ryuichiro keeps sending a message that "Music should be free of restrictions" while recording development of artists. Besides producing and releasing music, Ryuichiro took on a responsibility as a sound coordinator for high-resolution portable headphone amp by "Deff Sound" to display his talent with a different aspect of music, which he helped the product "DDA-LA20RC (iPhone/Android/PC)"to be awarded Gold and Gadget Grand-prix at Visual Grand-prix VGP 2015 by ONGEN PUBLISHING CO.,LTD. He also writes for iOS Software magazines and special magazines to exercise his knowledge in Apple products. Ryuichiro's interest besides music also includes cameras and cats. His personal blog "StudioW4M" has many entries with shots of cats on streets and photos capturing beautiful scenery. His cat photos were a part of a photo exhibition titled "OUR EARTH" at SPUMA (now closed), a cafe in Shibuya. When it comes to photography, Ryuichiro publicly says that he is not a photographer but is just "snapping photos." ©2014 avex marketing Inc. All rights reserved.